Plug-in (for work) and have time to play in Prince George. Tired of the 9-to-5 grind in a stuffy office and long commutes to and from work? Employed in tech and want a flexible work schedule so you have more time to enjoy life? 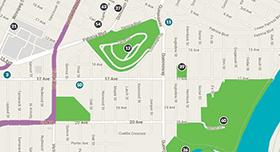 Working virtually is the solution and Prince George is the place to give it a try. In Prince George, you can work or run your business in a growing tech community of forward thinking entrepreneurs. Innovative activity is happening daily through our startups, large public and private sector employers, our college and our university. The city provides everything you need to work virtually, including high-speed Internet connectivity and easy flight access to anywhere in the world that business takes you. 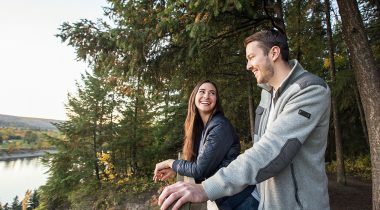 But what makes Prince George stand out compared to other possible virtual work locations is the ability to enjoy all of the amenities you desire, along with the lifestyle and affordability benefits you can’t find in larger urban centres. All you need to get started is the support of your employer, or an idea for a tech business and the drive to be an entrepreneur, along with a computer, a smartphone and a home office. 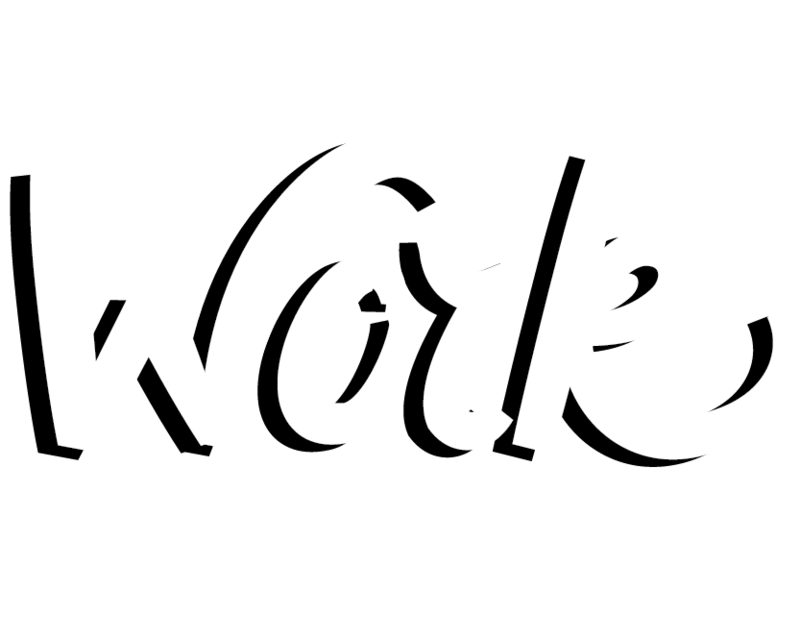 Unless, of course, you prefer working in a coworking space, in which case, we’ve got you covered. The Hubspace is located in the heart of downtown Prince George and offers a collaborative coworking space, and hosts tech-sector meetups. The best part is there are a number of independent pubs, restaurants, a microbrewery and trendy coffee shops that pride themselves on sourcing products locally, all within a three block radius. We have the connectivity, a growing tech community, and lots of cool people doing cool things. All we need is you! 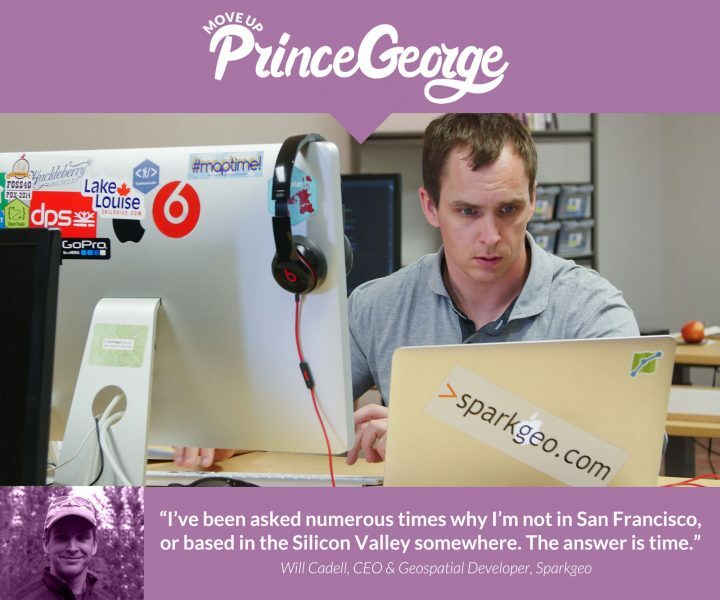 Read Will’s story about why he chooses to operate Sparkgeo out of Prince George. The Hubspace is designed to facilitate the growth of the technology, innovation, and entrepreneurial ecosystems in the region. The Hubspace is the primary place in downtown Prince George which creates opportunities for collaborations, and offers the kind of vibrant working environment in which innovators thrive. The Hubspace offers curated coworking memberships ranging from drop-in to more permanent spots, as well as hot desks for daily rentals. The Hubspace is also a member of the global Coworking Visa Program, where your Hubspace membership provides access for you to over 450 other coworking spaces worldwide. Meeting areas, great internet, and coffee/tea are all included amenities, and the space can be booked for events which foster connection and collaboration. 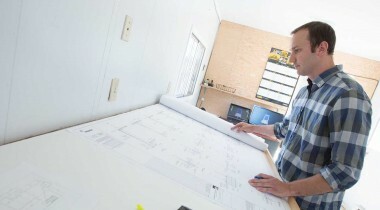 Innovation Central Society (ICS) works to grow the technology and innovation sectors in north central BC. ICS supports technology entrepreneurs in starting and growing successful companies, from the ideation or evaluation stage, through to launch and growth. This support includes access to one-on-one coaching with our experienced Executives in Residence, educational programming, and connections to potential funders and other business and technical resources to advance your idea. Startup PG is a grassroots driven group in Prince George dedicated to creating more entrepreneurs and innovators in central and northern BC. Startup PG is not an organization, non-profit or business. It is a group of volunteers that partner with organizations to plan and lead a number of events throughout the year that bring together entrepreneurs, developers, designers, creators, artists and changemakers in a fun and social way.